Is Cooking Bison Similar to Beef? Eating bison meat is a delicious way to enjoy red meat without the guilt. No matter how good white meat can be, it will never truly satiate the craving for red meat. Buffalo, probably the reddest meat you’ll ever see, is pretty good for you. A portion of roast buffalo has far less fat than beef. When you compare the protein, bison meat wins hands down. Buffalo has 40% more protein, and is significantly leaner. 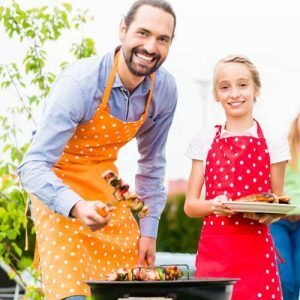 Finding bison meat cuts at your grocery store might not be as easy as some other meats, but you can easily buy bison meat online. Find Bison Roasts, Ground Bison, and other cuts easily at a click of a button at Northfork Bison’s online shop. And Northfork ships their bison and buffalo meat right to your door. Now that you know where to buy bison meat, go ahead and visit our online store. Try bison meat in any of these styles and you will have an awesome meal. 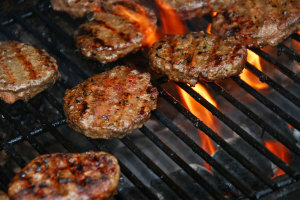 Place your order and then check out all the bison meat recipes in our blog. A lot of people write to us asking for a description of the taste of bison. The taste of bison is very similar to the taste of beef. It does not taste gamey. There is no aftertaste like some game animals such as moose. The meat is tender, low in cholesterol and high in protein. It’s leaner than beef, pork, turkey—even chicken – and the flavour is out of this world. Most unsuspecting people wouldn’t be able to distinguish between bison and beef! With Northfork it’s easy to stay healthy and satiate the craving for red meat. Order bison meat for fast delivery everywhere. The price of buffalo meat is definitely worth it. When you buy bison meat you will find the pricing close that of other premium meat products, and bison meat is lean with very little fat to add weight. You are paying fair price for lean, protein rich red meat that does not shrink when cooked. Don’t forget, bison is a lot leaner than beef or pork. That translates into more meat after cooking, and with no added hormones or antibiotics, it’s a much healthier alternative. Eat Buffalo Meat and Feel Great! There was a time when buffalo were endangered, but worry not, these animals have made a huge comeback. Citing information from the Canadian Bison Association: “In 1996 when the first census of the bison industry was taken, there were just over 45,000 bison on 745 farms in Canada. That had grown to an estimated 145,000 in 2001 on almost 1,900 farms. The number of farms raising bison remained at just under 1900 in 2006 and the herd grew to almost 200,000 head. In 2011 the census reported just over 125,000 animals on 1,211 farms and ranches.” Most bison are located in Manitoba, Canada where there are tracks of land with thousands of acres being used to raise bison. Our bison graze of these enormous tracks of land. They do not live in barns…ever. In winter, they supplement their feeding with hay laid down for them but mostly these hardy, healthy beauties dig right through the snow to find grass. 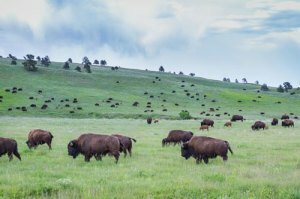 The environment is faring better with bison making such a comeback due to the enormous areas of land now being reserved for these magnificent and tasty creatures. Copyright © 2019 All Rights Reserved. Northfork Bison Distributions Inc.